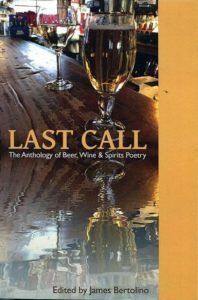 World Enough Writers (Tillamook, OR) publishes themed poetry anthologies, including Last Call, and single-or multiple-author poetry collections. War Effort is based on a story my mother told. had been spilled across its grain. through the tavern window, join them. This anthology was created by the Project Leadership UCC Class of 2018. 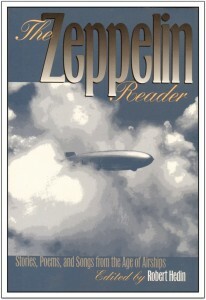 All proceeds from its sale go to a textbook scholarship fund. 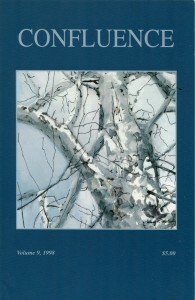 This is one of four of my poems selected for publication. as the boy dissolves in rearview. will rest on his brother’s shoulders. 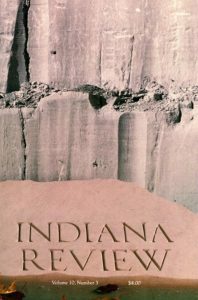 This poem, patterned after the Petrarchan sonnet form, was published in the Spring 1987 issue of the Indiana Review. you open your hands to me, sacristy. 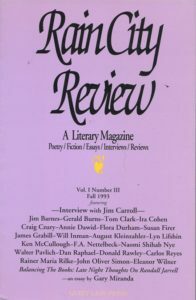 Rain City Review,whose managing editor was Brian Christopher Hamilton, was a Portland-based literary magazine. museum walls, the same two flank the third. are only darker stains upon the panels. our desire, that is its message. 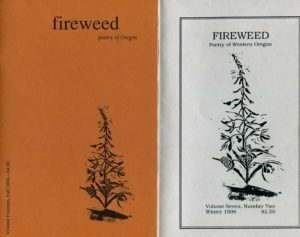 My work–a number of poems and two reviews–appeared in Fireweed between 1995 and 2004. In November 2017, I had the pleasure of meeting Erik Muller, who along with Ann Staley, edited the journal until 1999. He was in the audience at the River Road Reading at which I was a featured writer. 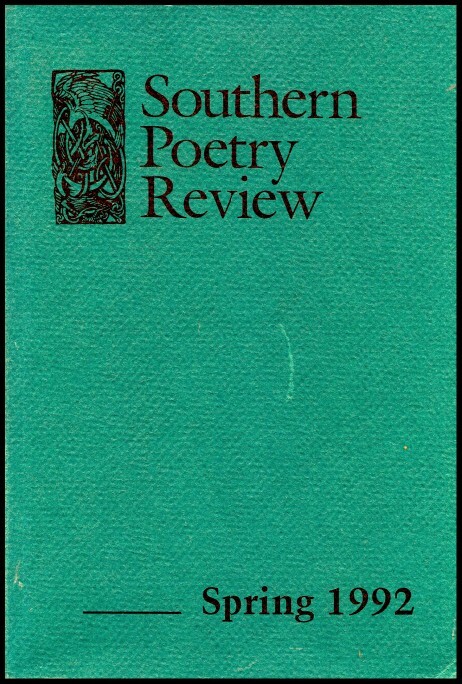 The journal was later edited by Sydney J. Thompson, who also responded generously to my work. who was the patriarch, who the dead son. he abandons it to the cold. It just wasn’t where my body was going. before it resists our grasp. into the Terminal’s vault of heaven. a roaring drum for the untracked homeless. see the shimmering moment falter. was not what I deserved. 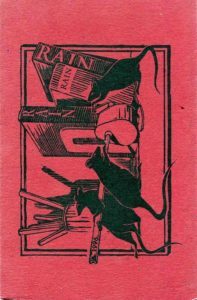 Several of my poems appeared in this issue of Rain, the literary magazine of Clatsop Community College, Astoria, Oregon. 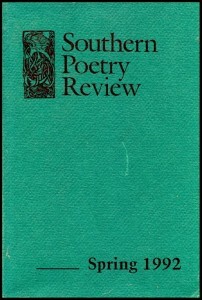 Karin Temple, a fine poet, was at the time editor of this publication. until I become her face, and his. what is still to be understood, remain. is a hoop bare of knotted flowers. 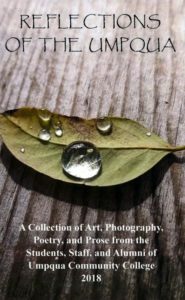 At Seventy, written to honor my father, received an honorable mention in the Billie Murray Denny Poetry Award Competition. He spread the map out on a picnic table. trying to mend the distance. for the black-capped chickadees and myrtle warblers. like Pop’s homemade gin hidden in the basement. Were the coins supposed to grow? and Mom criticized each slice. he’d driven without stopping for fourteen hours. yet he’d stopped in time. makes him watch them as they fade. 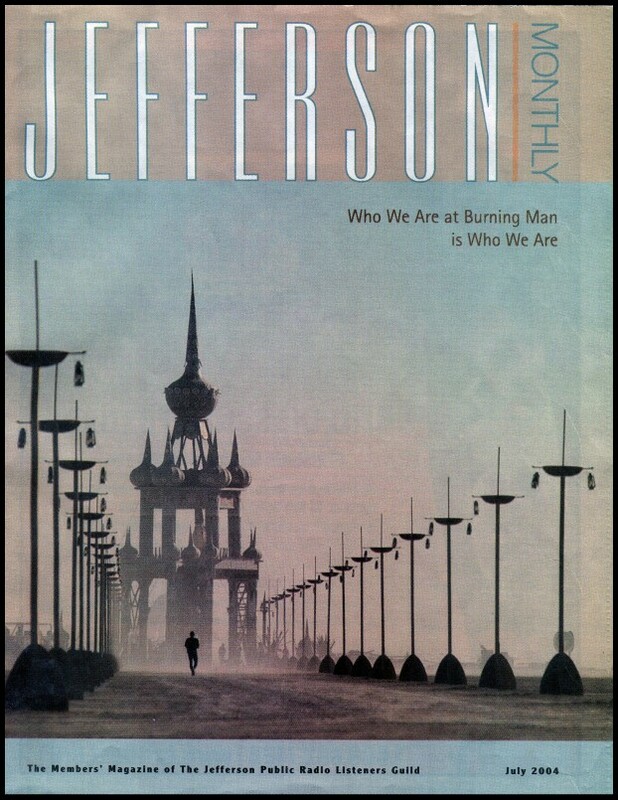 The Bellingham Review published two of my poems, Walking Through the Heart and Partial Knowledge. Composer Lynn Steele set the first poem to her magnificent music as a song cycle. in the model of the heart. that brought me down into the museum again. everything, out of the ordinary. alongside her figure on the painted screen. between this light and her own. poling our boat down the underground river. we are the cave’s only other life. of rocks, the hum of a generator. as surely as the sudden return of light. each time you stagger down the aisle. and breathe the keen, passing air. its scenery along. Still Nebraska. you fool yourself you’re visiting. only the room’s lights, your upturned face. There’s no more ice at the bar. You hope no one will talk to you. to mean nothing to any of them. then another, like a teacher with flashcards. 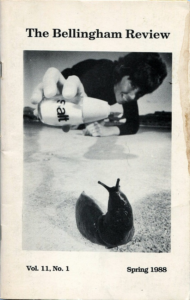 Washout Review was the first journal to accept my work. 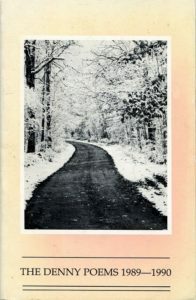 I discovered the publication in the library at the Bread Loaf Writers’ Conference in Vermont, which I was attending as a contributor. 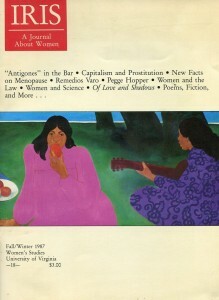 At the top of this issue’s cover is a nearly imperceptible image of two figures, one of them the poet Alice Fulton. 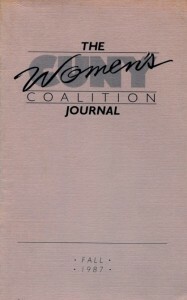 Iris: A Journal About Women is a publication of the Women’s Studies Program at the University of Virginia. The poem is somehow a work of fiction in which all the parts are true. behind the antiseptic comfort station. with a map of the world on its tail. to draw beers at the freshman pub. You have somewhere to go. swing, her grey hair undone, floating behind her. to someone to join her. that the dog or time has worried shapeless. 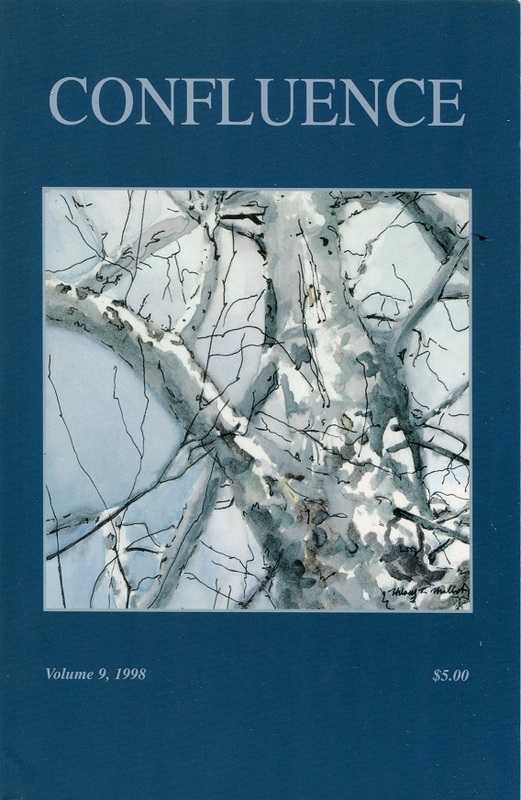 Dominion appeared in Confluence, a literary magazine published by Marietta College and the Ohio Valley Literary Group. break from the fence, quivering. 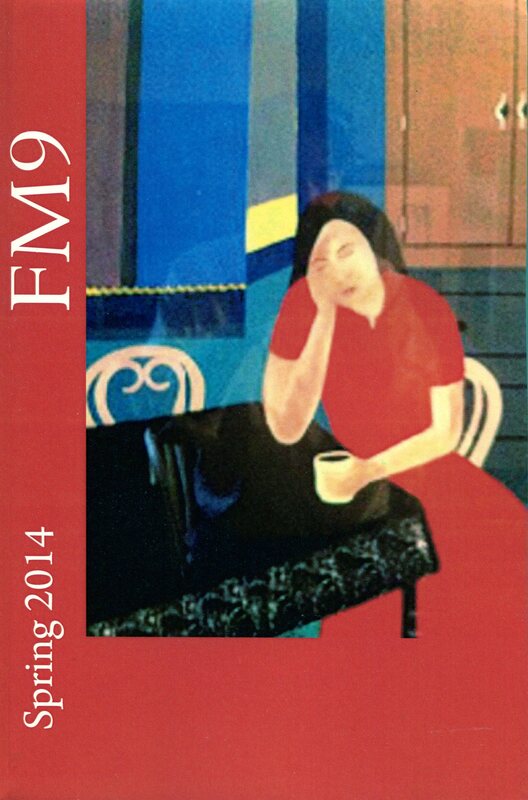 Transits appeared in a section of FM 9 edited by Rose Terranova Cirigliano and containing work honoring the memory of Brigitte Kowaltschuk, with whom we worked at the Harcourt Brace Jovanovich Bookstore. tomorrow, God willing and the creek don’t rise. and never ceased its urging. to boutique scents than books. gift, a kind of hope. any current drawing her away. 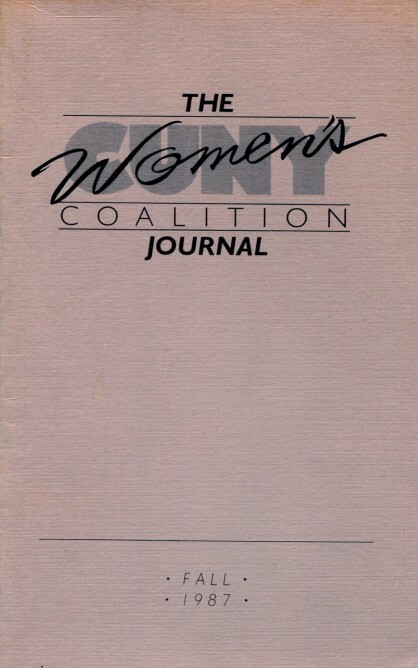 I was an adjunct instructor and Writing Center tutor at LaGuardia Community College at the time of this publication. roof of their new cabin means enter, welcome. 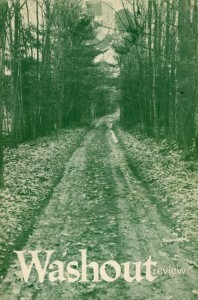 But I drive on, leaving them to their woods. gulls glint and veer, leads to no welcome. what, once seen, lingers like smoke from a drum. with all the miles I’ve cleared, that fade as quickly. and, a drumming heart, the buck races in welcome. he thinks she has not gone far. I took part in a Friends of William Stafford Birthday Reading that Vince and Patty Wixon helped organize in Ashland, OR. 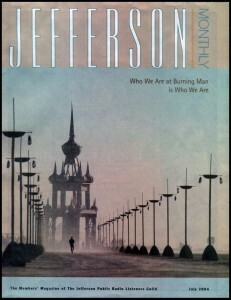 The poem I read, “Salvage,” was later selected by the Wixons to appear in the Jefferson Monthly. where he completes the puzzle. scrambled eggs on a gold-rimmed plate. of rhododendron and tall firs even in November. as she has Keats, by heart. pull down ad placards to use as pinochle tables. through each of our cells. because of another passage recalled. visit, they call on Miss Clark and on Homer. 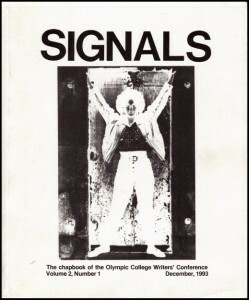 When I lived in Seattle, I had the good fortune to attend the Olympic College Writers Conference. 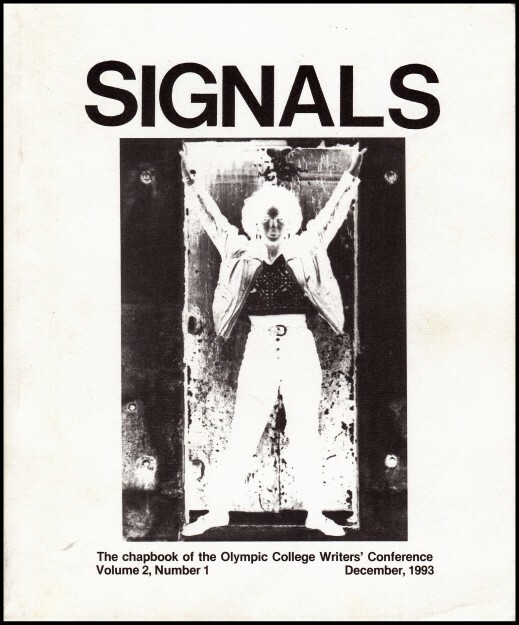 I participated in a workshop led by Madeline DeFrees, who chose my poem “Waiting Room” for special recognition and publication in the conference chapbook Signals. a rookery of her gangways and luxe. white chocolate to him on a tray. 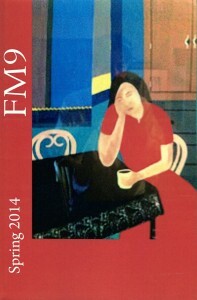 I was pleased to have work in FM 9!